Coming from the Dubai direction take the turning on sheikh Zayed Road called interchange 4 Al Manara. Loop under the bridge and go over to the Al Quoz Side. At the Traffic lights at the end do a u turn and then take the first street on the right. Drive down for 300 meters and take the first turning on the left. 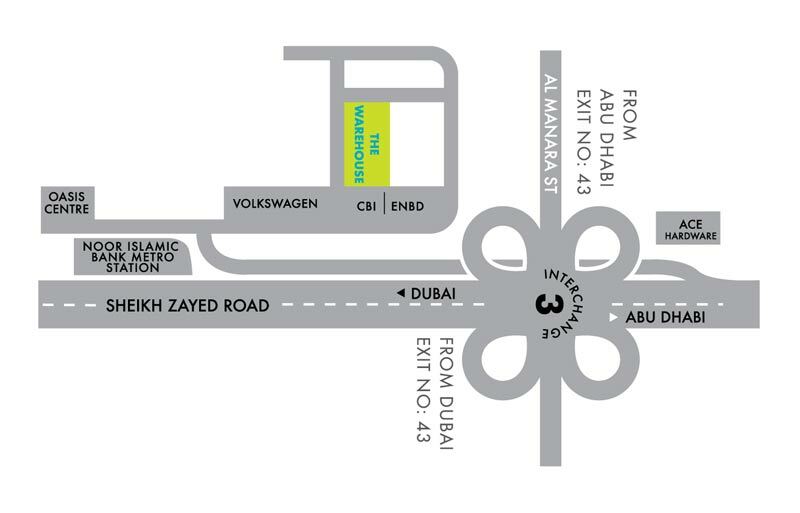 The warehouse is approximately 200 meters on the left in the Al Shafar investment building (opposite volkswagen).